A popular-style workbook for small groups to engage on the interconnectedness of spirituality, ecology, poverty and inequality. Pope Francis has called us to be protectors of the environment and protectors of people. 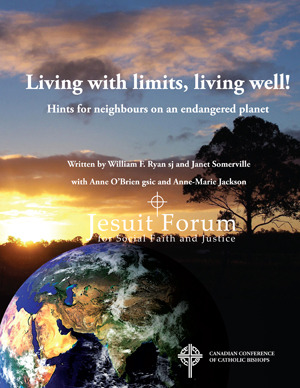 This colourful 54-page workbook is designed to help educators, animators, people of faith, leaders, preachers and others to gain the information and inspiration to understand how justice for the poor and justice for the Earth are not only deeply interconnected but are also firmly based in the Gospel and in Catholic social teaching on human dignity, solidarity and the common good.